At Riley & Jackson, P.C., we handle truck accident cases involving issues such as overloaded trucks and driver fatigue. We offer a free initial consultation to discuss your case. Overloaded trucks are harder to stop. This can result in rear-end collisions, especially when trucks follow other vehicles too closely or speed up to prepare for long inclines. Unbalanced loads can shift in transit, causing truck drivers to lose control or even tip over at high speeds. When loads are not properly secured, items falling off the truck bed can cause serious injury and death to other drivers. If you or a loved one is injured in an accident involving a truck, prompt investigation is required to determine if overweight, unbalanced or unsecured cargo was a factor in causing the accident. If the truck driver or trucking company was at fault, you are entitled to full compensation for all of the damages you suffered in the accident. 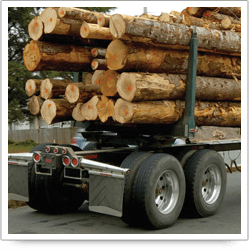 For more information or to schedule an initial consultation with overloaded trucks attorneys, please call 205-879-5000 or send us an e-mail via this website.